Labor Day is that day when we all realize that summer is pretty much over…sigh. 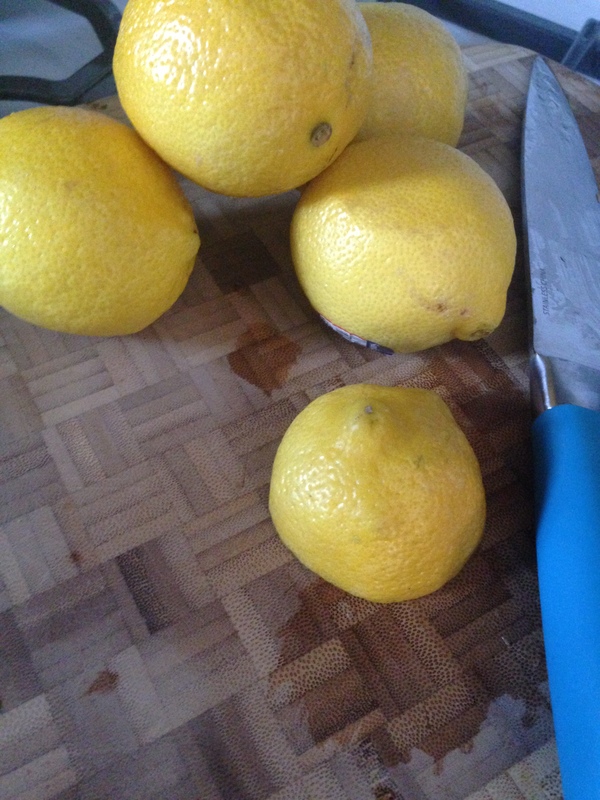 But in honor of our national day of rest, I cooked up a batch of my favorite lemonade…and (because my little cherubs at school are all starting to be sick) I used the lemon peels to make a citrus surface cleaner. I love multi-tasking. For about $3 I got a delicious pitcher of lemonade and enough spray cleaner to last me into the new year. Wanna know how? Let’s go! The first step involves your herbs – you can use fresh or dried. I had fresh lavender in the garden, but wanted to use up some of last year’s dried peppermint. I gave my lavender a bit of a haircut. Once the leaves were stripped from the stalk (just like with rosemary, invert and scrape) I had about a quarter cup of little lavender needles and a few flowers. I grabbed about a cup (not packed too hard) of peppermint leaves from their jar – with dried you always want to use more to make up for the potency lost during the drying process. Put 5 cups of water in a saucepan – if you’re using sugar, put 2.5 cups of sugar in with it and boil until the sugar dissolves. If you’re using honey, which I do – I use about a cup and a half of honey and *never* boil honey, it destroys the lovely enzymes in it and is just not necessary. 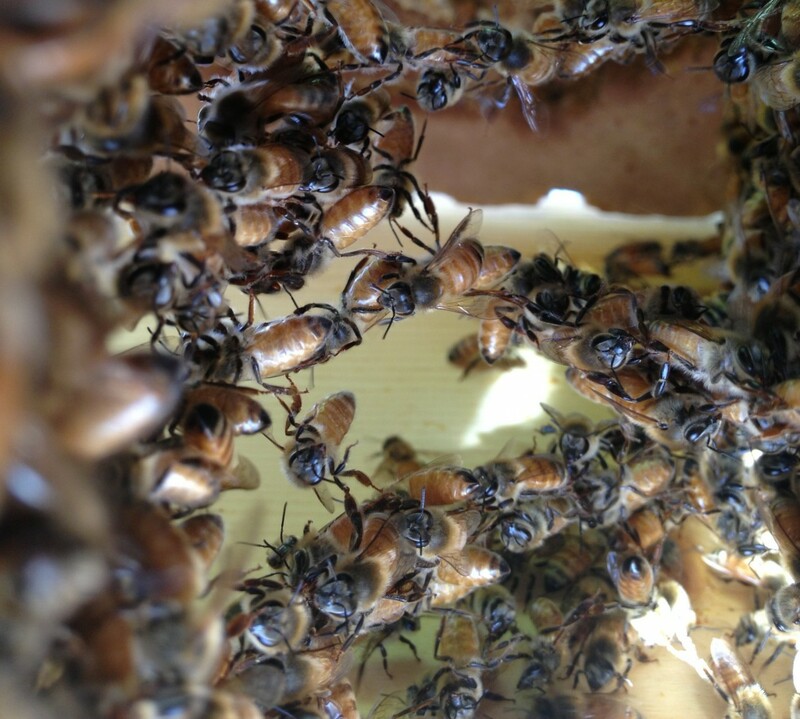 So for honey – heat the water to almost boiling, remove from heat add the honey and stir until it dissolves. Then (for both versions) add the herbs, stir until they’re saturated in the syrup, cover and leave covered until cooled. As with many recipes of this nature, it may only take 30 minutes to cool to room temperature, but the longer you leave it, the stronger the syrup. I always recommend leaving it overnight. Next we make the lemonade part! 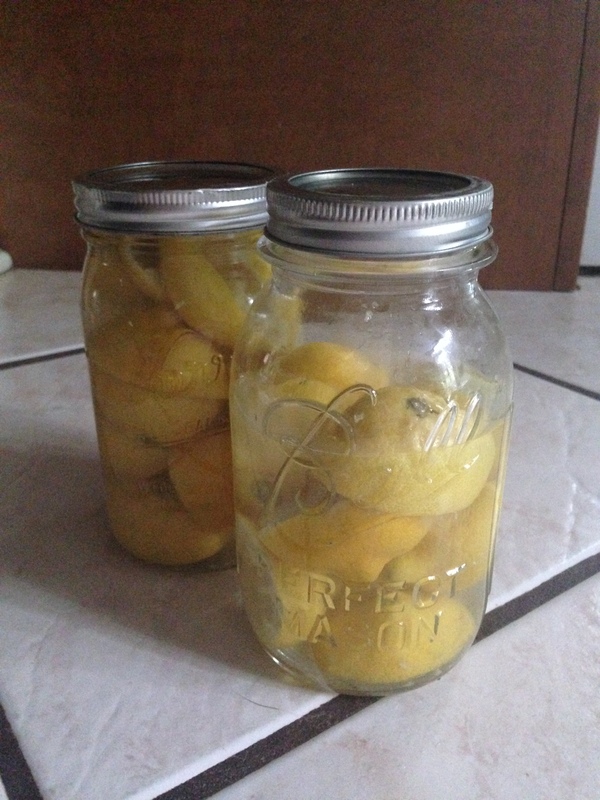 You’ll need about a 2lbs of lemons (about a dozen). Usually when it comes to citrus, you don’t really need to wash them…but because we’re using the peels – I like to give the outsides a little scrub (and take the stickers off). Halve them and juice them. I love any excuse to use my vintage citrus juicer! 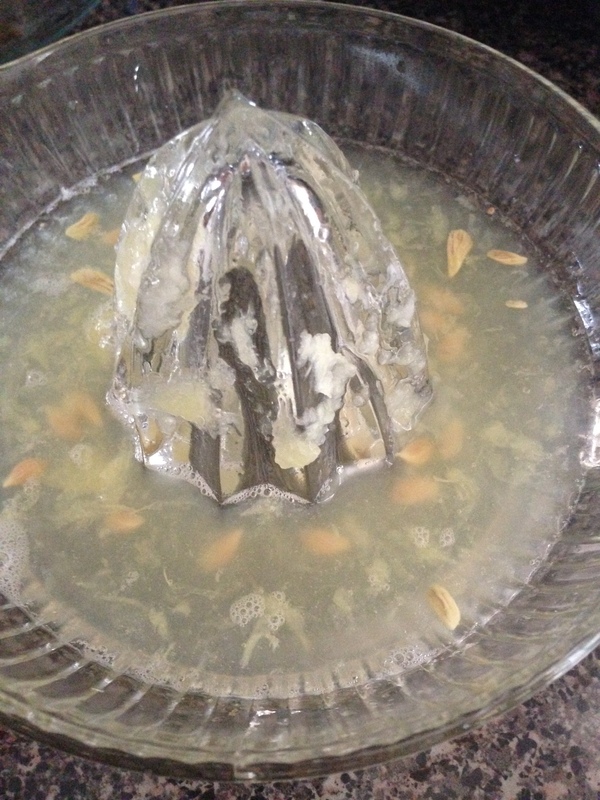 Strain the seeds and pulp out of the lemon juice and pour it into a pitcher. Once the herbal concoction has cooled, strain that into the same pitcher, add 4-5 more cups of water (you might want to spot check it for strength as you go), stir and serve over ice. 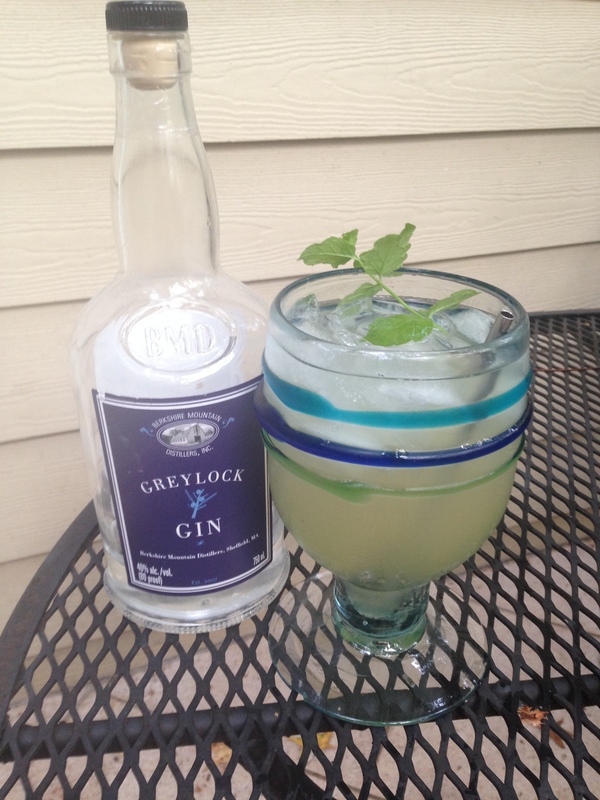 Pictured with my favorite gin….that I will need to figure out where to procure now that I’m not in the northeast!